COMEDY! DRAG BINGO! BURLESQUE! LIVE MUSIC! Are you ready for Mardi Gras? 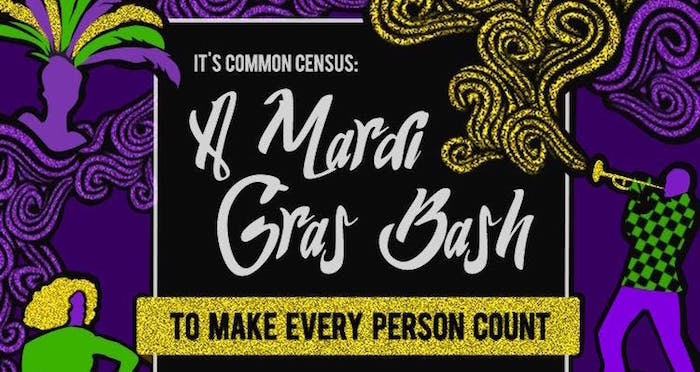 Let’s make the party even better by raising $$$ for Southern Echo — an organization focused on redrawing gerrymandered voting maps/redistricting and getting everyone fairly counted in the 2020 Census. Celebrate democracy and make sure marginalized communities have a voice alongside Darlinda Just Darlinda, Glace Chase, Your Love Our Musical, L-Train Brass Band and more! Hosted by Pat Regan and Christi Chiello. --- All Proceeds go to Southern Echo -- a Mississippi-based non-profit that helps underrepresented, low-wealth people of color become architects of change through public policy. $25 Ages 21+ *Please note this event will be mixed seated/standing. Arrive early for best seat selection.